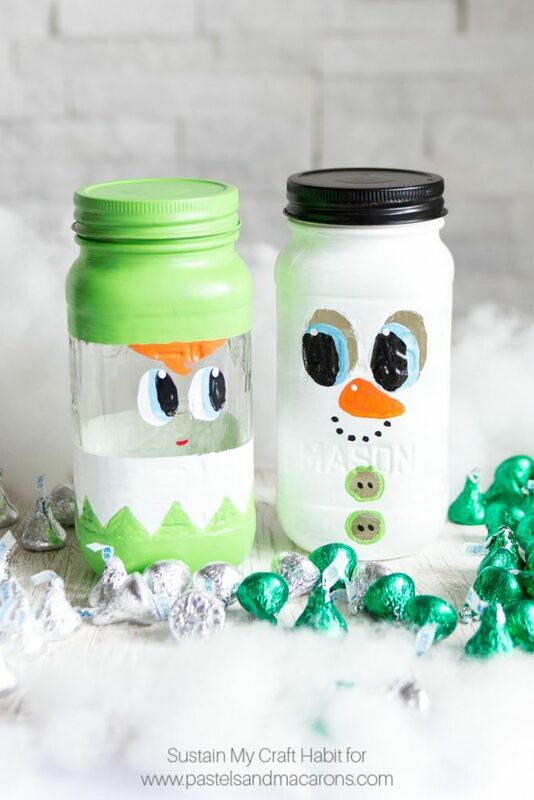 Surprise your office secret Santa, kids teachers, family or friends with an adorable treat-filled Mason Jar Christmas gift. 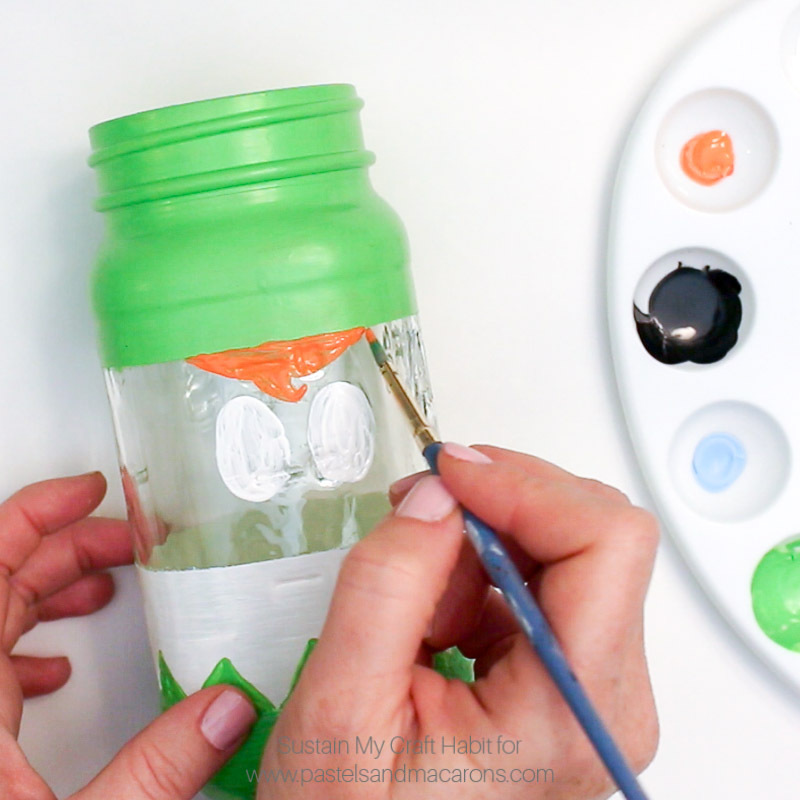 Make your favorite Christmas characters come to life in a few easy steps. Or make them as stocking stuffers for the kids this Christmas! Hi there! 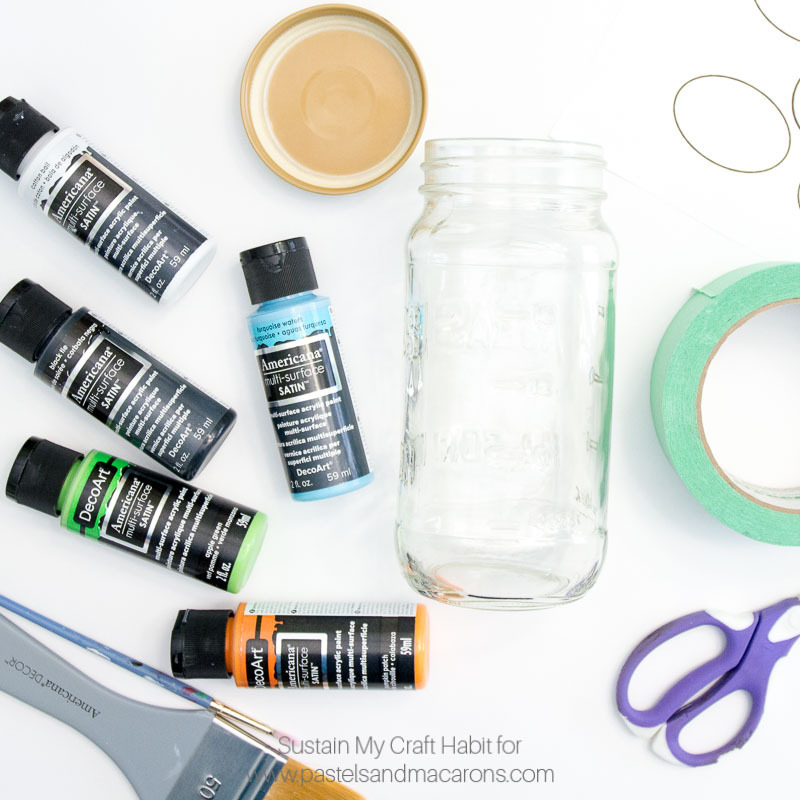 It’s Jane from Sustain my Craft Habit, a DIY, craft and home decor blog where my sister Sonja and I share nature-inspired ideas each week. 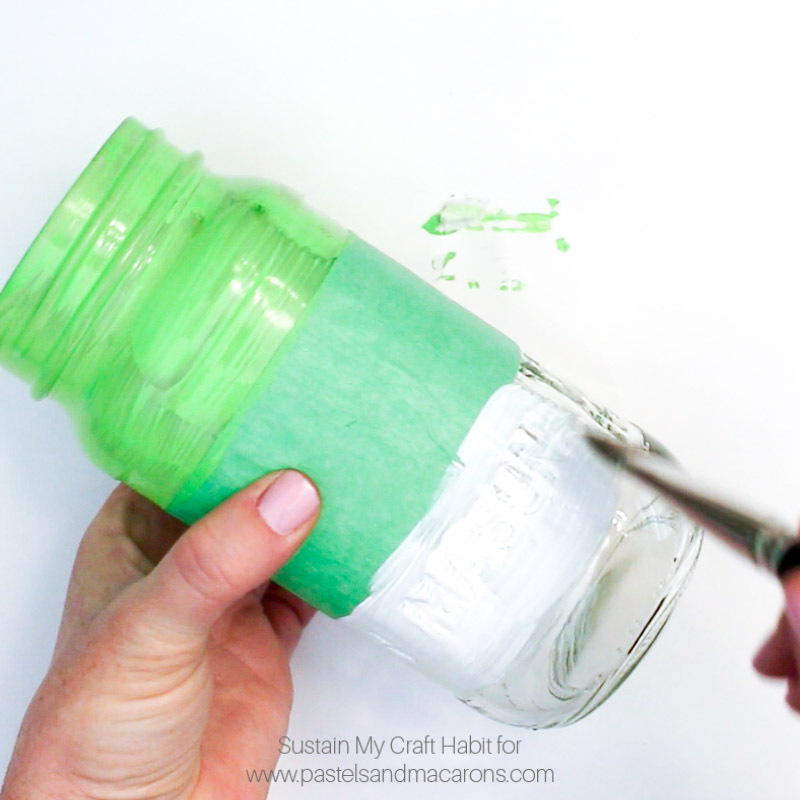 We’re so happy to be back here on Pastels and Macarons sharing these fun and festive Mason Jar Christmas gift ideas with you. We’d love for you to check out our DIY beach fairy garden project we shared here in the summer. When I worked full-time up to a couple of years ago, we held a secret Santa gift exchange each year in the weeks leading up to Christmas. We had a $10 limit for gifts and it was always a fun challenge to find nice and clever gift ideas within that budget. To this day I still have and cherish some of those thoughtful little gifts given to me by my co-workers. 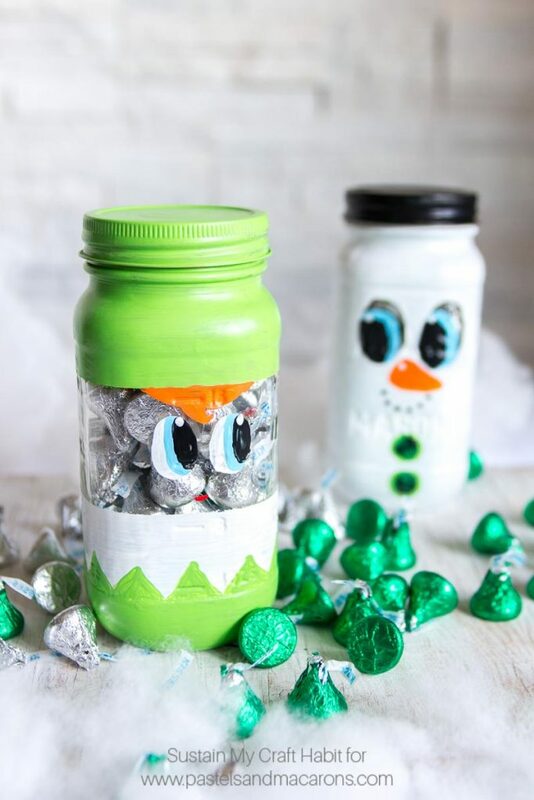 So I thought it would be fun to make a cute little Christmas Mason Jar craft which could be used as a secret Santa gift to make someone smile. They could also be used as a stocking stuffer, a Christmas gift for a teen or older child or simply as holiday decor. 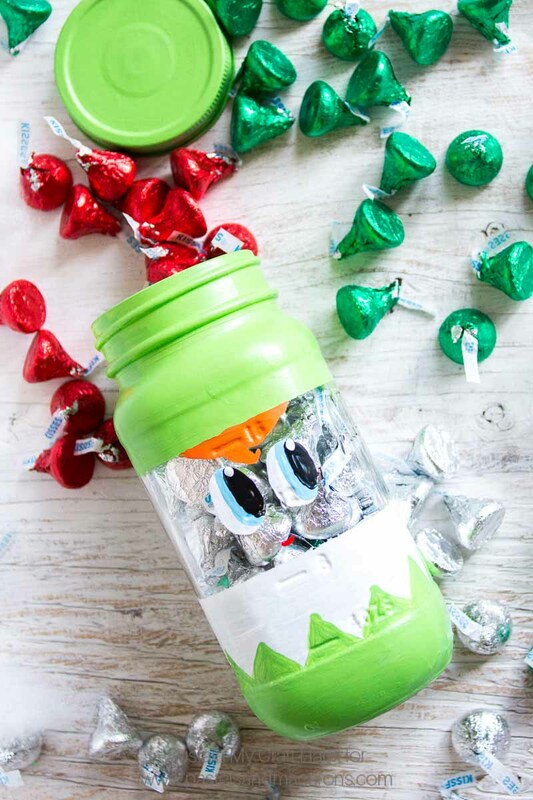 I’ve filled these guys with Hershey’s kisses, but you could use colored jelly beans or any other treats you’d like. 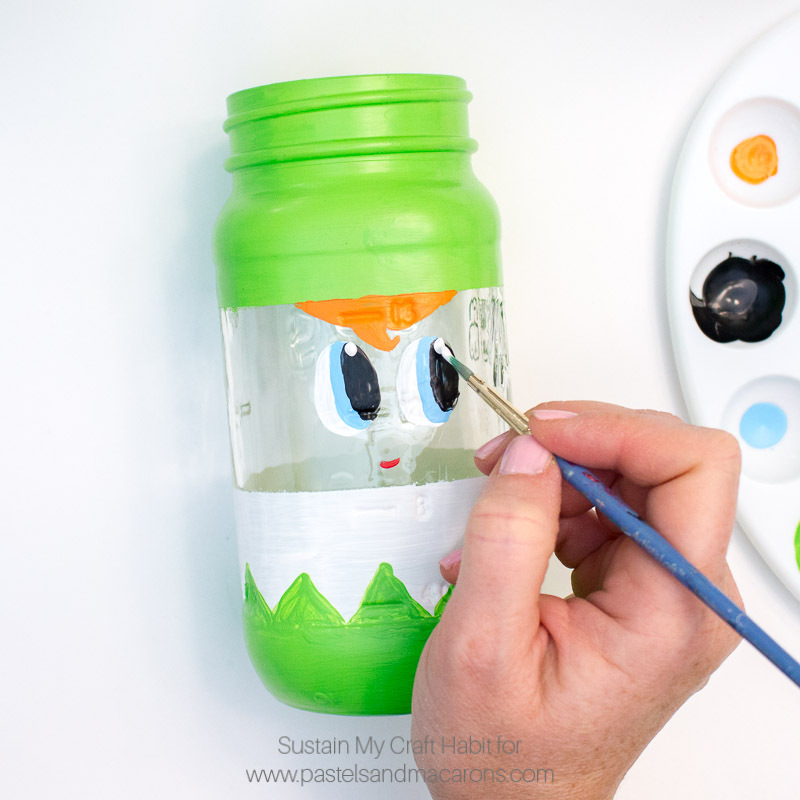 Read on for the tutorial to paint this sweet Mason Jar elf and then head on over to Sustain My Craft Habit for the painted Snowman tutorial. *This post contains affiliate links for your convenience that come at no extra cost to you. For more information please refer to my affiliate policy. Thank you for your support. Note: Depending on which paint you use, 2 or 3 coats may be needed to ensure full coverage. Let your paint dry completely between steps. The DecoArt Americana Multi-Surface Satin provides beautiful coverage with several coats, however needs at least one hour drying time between coats for best results. 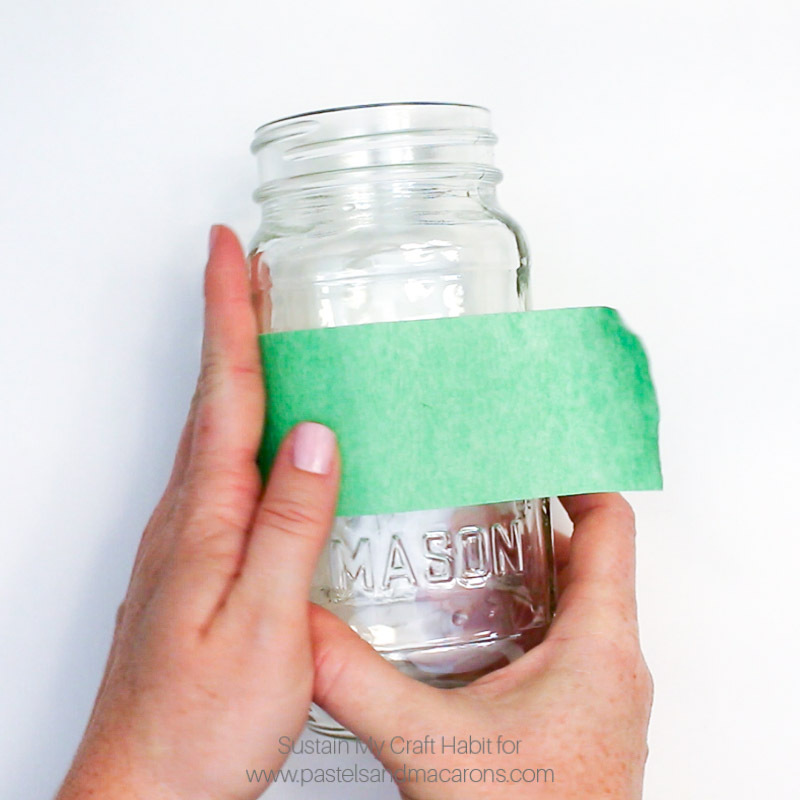 Start by taping off a wide strip around the center of the Mason Jar using masking or painter’s tape. 2. 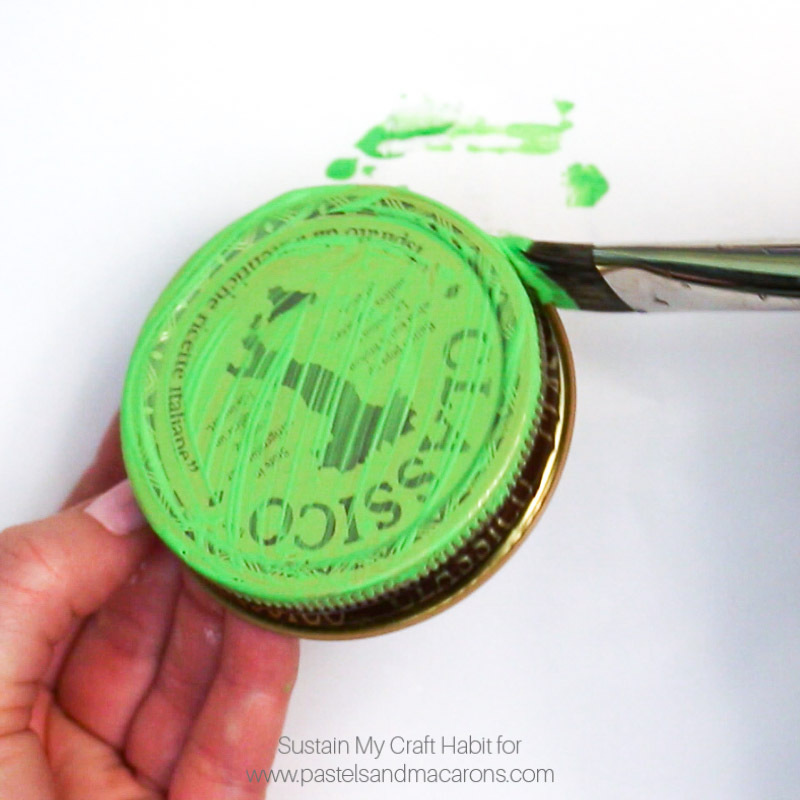 Paint the section above the tape in green. 3. Paint about two inches below the tape in white. 4. 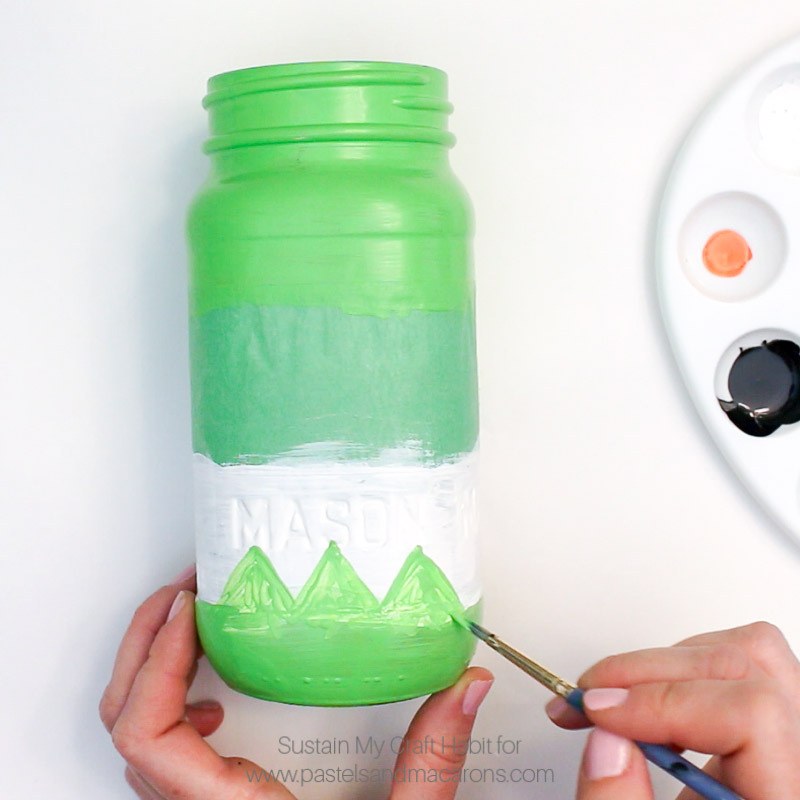 After the white coats completely dry, paint the bottom section of the Mason jar with green paint. 5. 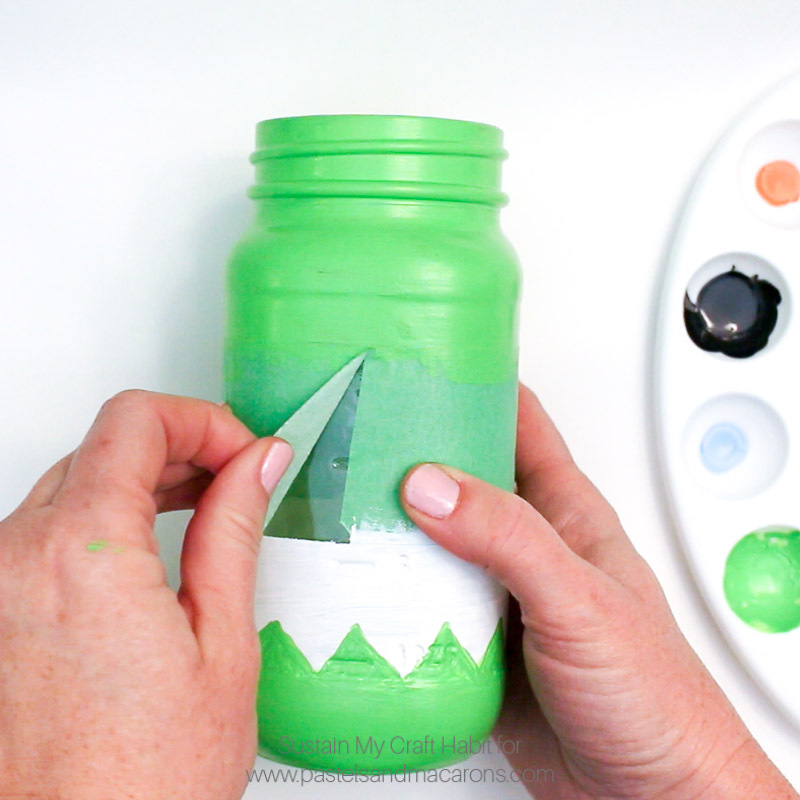 Paint small triangles all around the jar using green. 6. Carefully remove the masking tape. 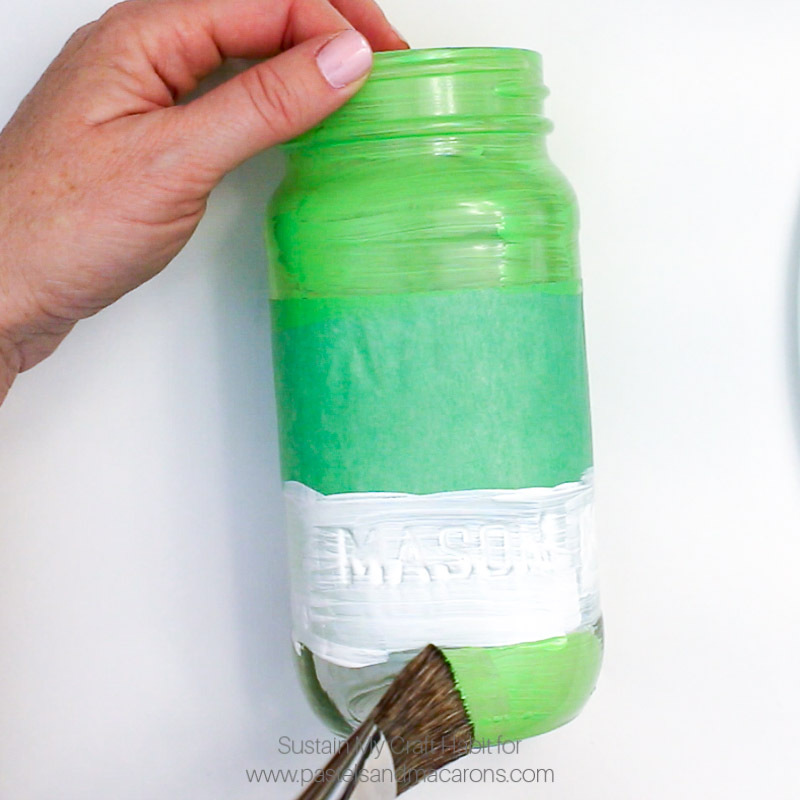 Note, if you don’t wait until the paint is fully dry it may peel off of the glass. 7. 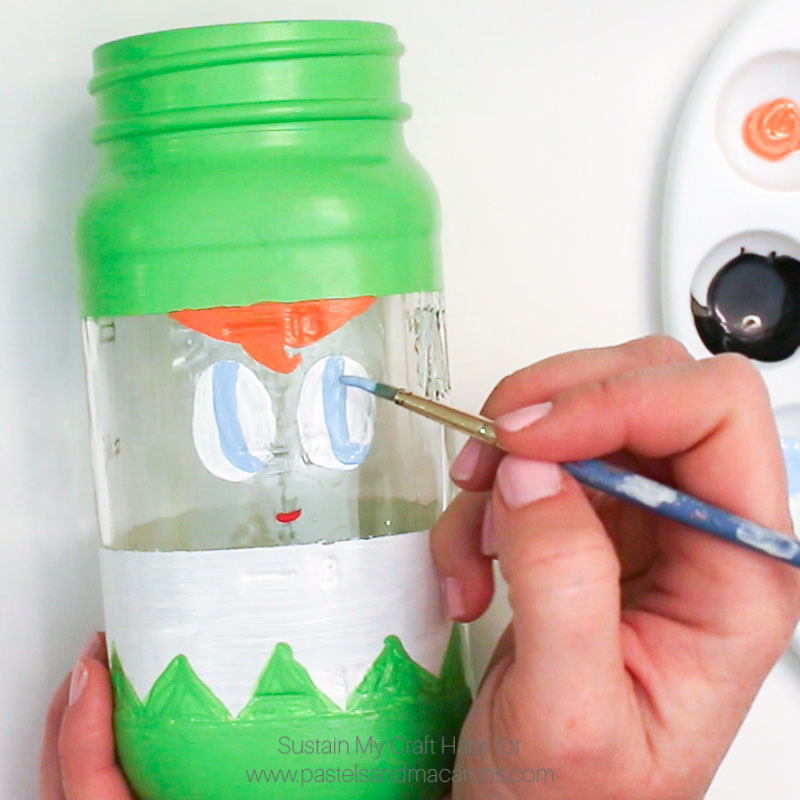 With white, paint two ovals (eyes) on one clear side of the jar. 8. While the white ovals are drying, paint a tuft of hair onto the elf using orange. 9. Add a small mouth using red paint. 10. Paint blue irises onto the white ovals. 11. Paint black pupils onto the elf’s eyes. 12. 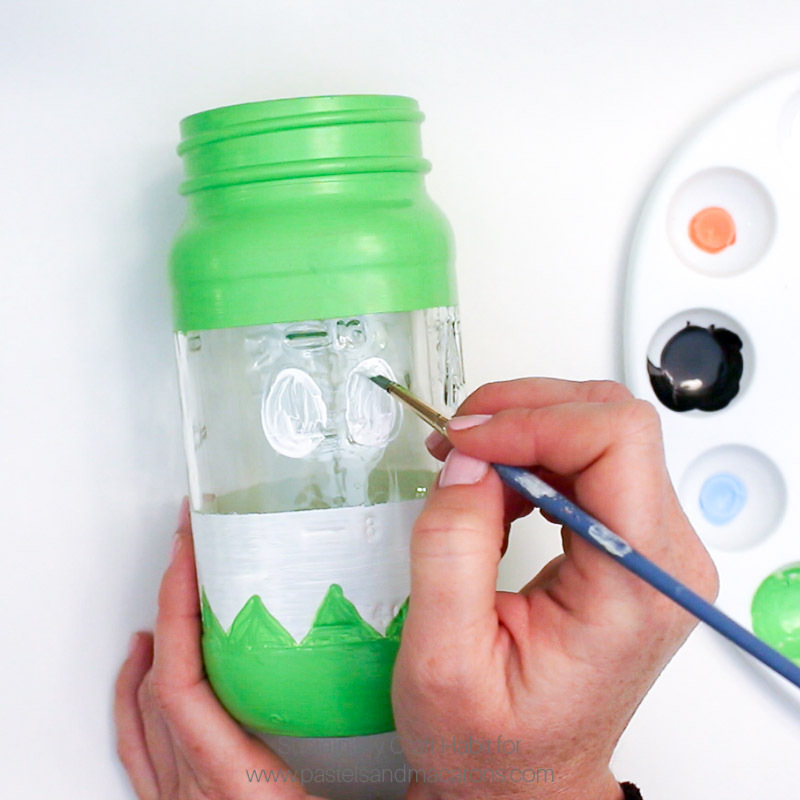 Add an accent dot with white paint at the top of each eye. 13. 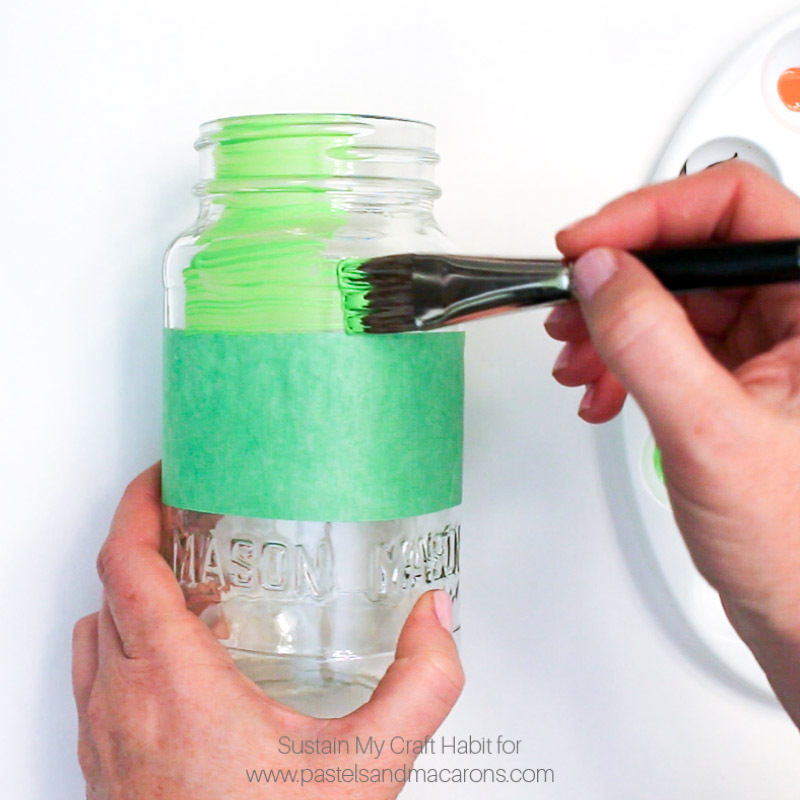 Finally, paint the Mason jar lid in green. And there you go! 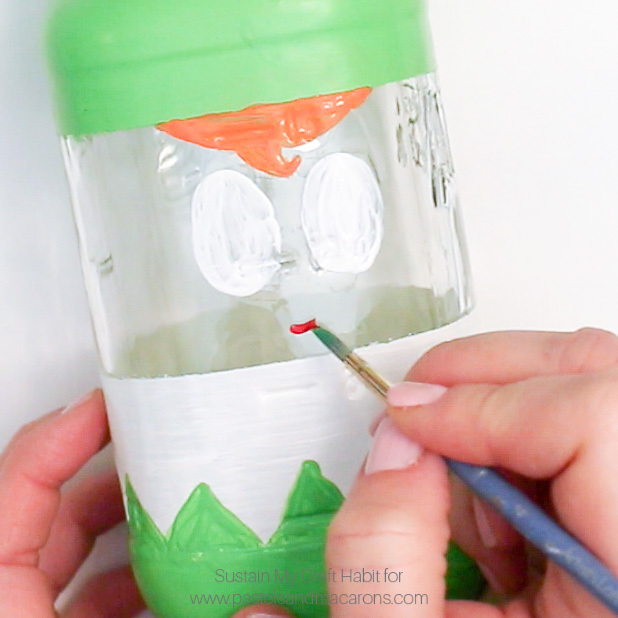 You have an adorable little Mason Jar Elf for your Christmas gift giving or decorating. If you are looking for more Christmas gift idea inspiration, check out our last-minute gift ideas with items from your kitchen as well as some of our favourite non-stuff gift ideas for your spouse. 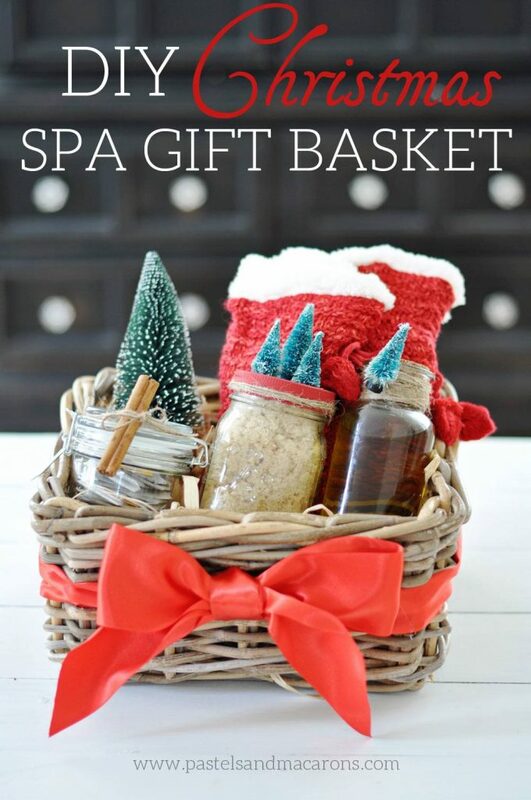 Or check out Maria’s DIY spa gift basket idea filled with relaxing goodies. 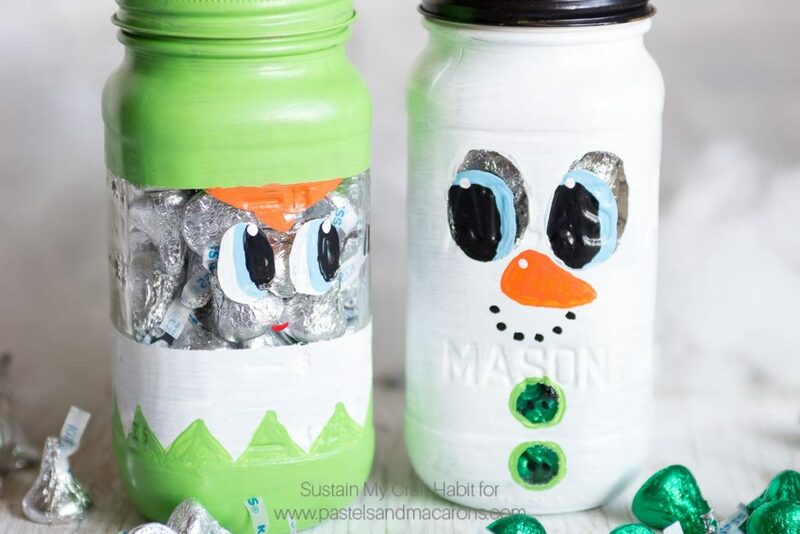 What treats would you put in these peak-a-boo mason jar Christmas gift? 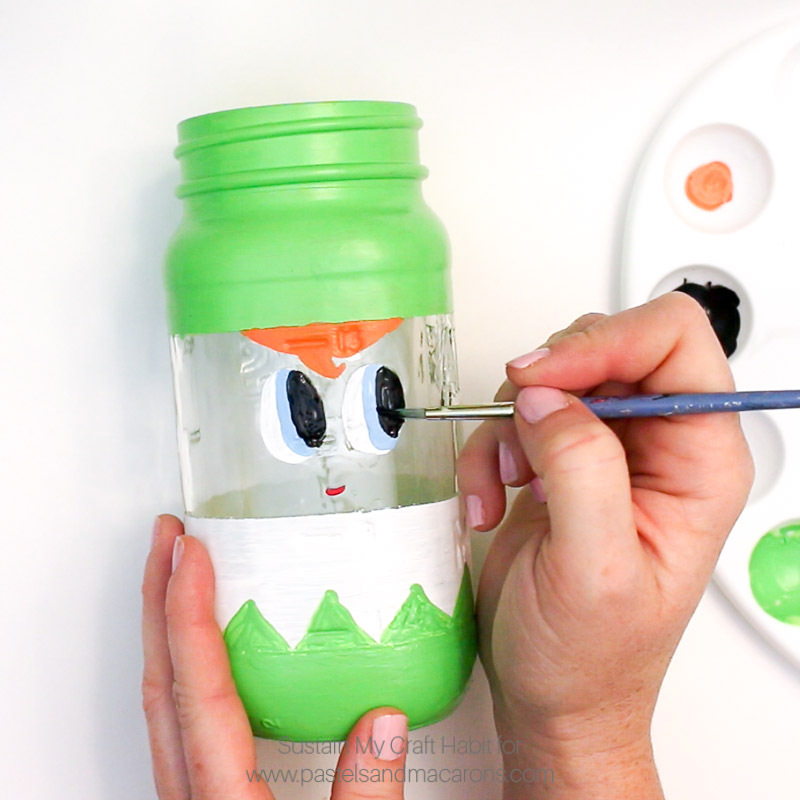 I’m down with anything Mason jar and these are especially adorable!